One of America’s favorite teams, the San Francisco 49ers, squared off against the San Diego Chargers in a classic offensive shootout in Super Bowl XXIX. 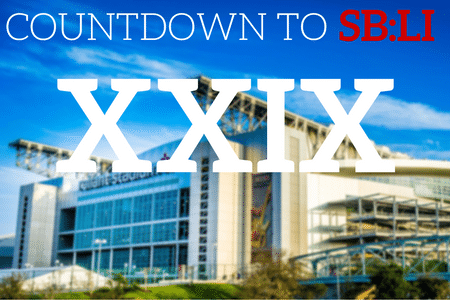 On January 39, 1995 Super Bowl XXIX was played. The San Diego Chargers and San Francisco 49ers went head to head, as the 49ers won the game 49-26. The location of this Super Bowl was in Miami, Florida at the Joe Robbie Stadium. The referee for the game was Jerry Markbreit and the total amount of people in attendance for this game was 74,107 people. Steve Young stole the show for Super Bowl XXIX and he was named MVP of the game for obvious reasons. He completed 24 out of 36 passes for 325 yards. This game went down in history as the first two Super Bowl teams to score points during all four quarters. Many onlookers would agree that this was an exciting game to watch. The Super Bowl XXIX halftime show featured Tony Bennett and Patti LaBelle, and was broadcasted on ABC’s network with a total of 83.4 million viewers. The cost of a 30 second commercial surpassed a million and went up to $1.15 million. The announcers for the game were Al Michaels, Frank Gifford, and Dan Dierdorf.